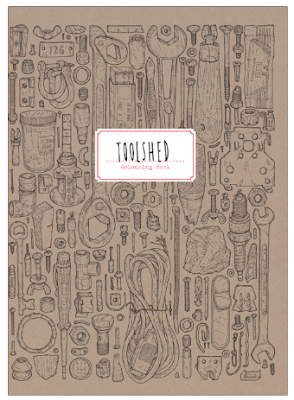 Started in 2013, originally as one drawing a day, Lee John Phillips’ Shed Project documents item-by-item the contents of his late grandfather’s shed, including everything from rusting hammers and saw, from rivets and nails to scissors and paintbrushes. Lee is an artist, teacher and illustrator based in Pembrokeshire, Wales. He estimates that there are 100,000 objects in his grandfather’s shed and has currently drawn 4,600 of them, painstakingly cataloguing each item to help to keep the memory of his grandfather alive. Drawing has resulted in problems, back, neck, shoulder, elbow and hand problems, admits Lee. “I have regular physio, but have not had the pleasure of a full night's sleep since last October”. 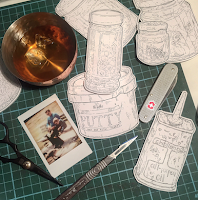 But he still gets a great sense of satisfaction knowing that with each passing day, the project is slowly but surely getting closer to completion: “I finish a jam jar and it feels great. 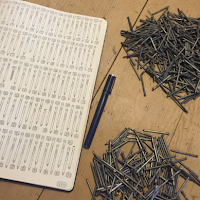 I see them lined up, tagged, numbered and ready to go back to the shed. It makes it easier to push on”. 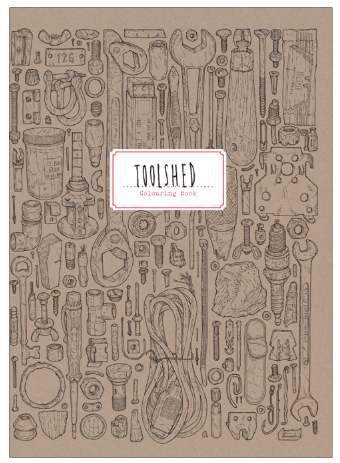 On 23 September, Laurence King Publishing is releasing a colouring book which includes 50 of his illustrations. 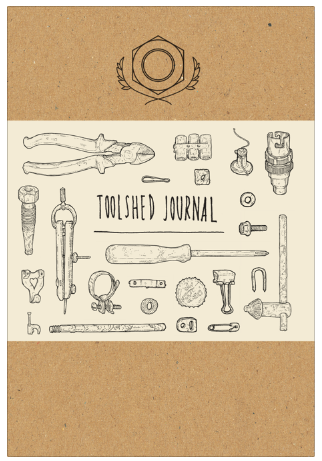 They are also publishing Toolshed Journal which they describe as "a beautifully designed journal, featuring three different stocks and 40 illustrations (both full-page and details)". 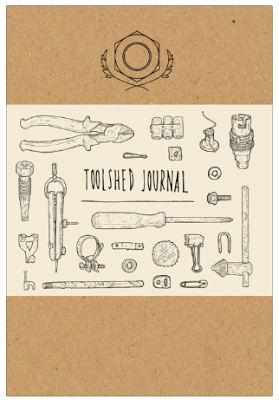 It will feature a wood effect cover, a page of stickers and a mixture of illustrated and blank pages to write on.